According to the Bureau of Labor Statistics, the U.S. economy added 255,000 non-farm payrolls in July, beating market expectations of 185,000, and posting back-to-back 250,000+ monthly additions. The private sector added 217,000 workers. The unemployment rate stayed at 4.9%. July’s report is eerily similar to last month’s print. 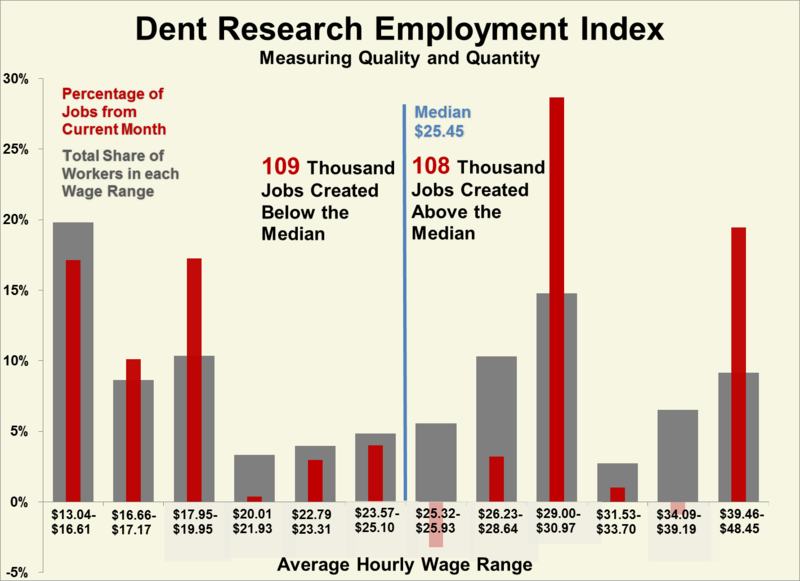 In both months, Dent Research found that a slight majority (109,000 vs. 108,000) of jobs were added below the measured median wage. 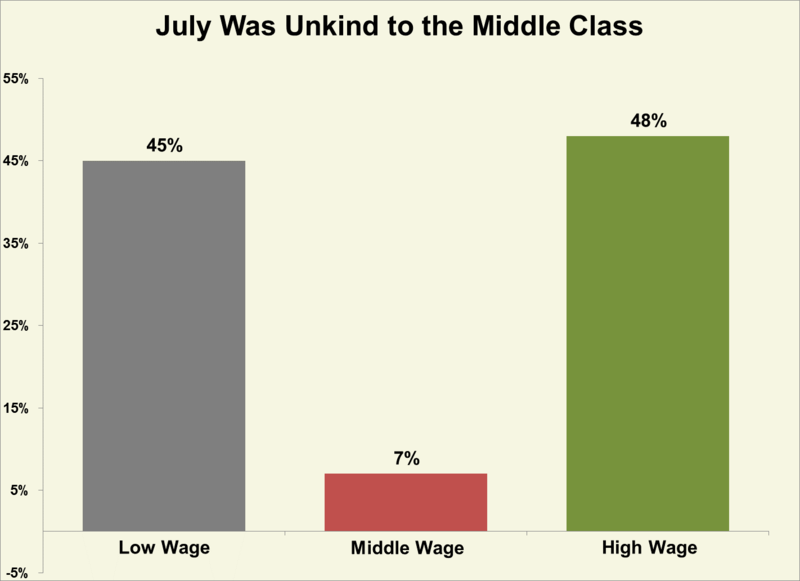 And just as in June, the vast majority of jobs went to the highest and lowest-paying industries, leaving the middle class behind. Professional and technical services added 37,400 workers last month, the most of any of our 84 major industries. These jobs pay an average of nearly $40 per hour. On the lower end, administrative and support services added 31,300 workers ($19 per hour). Bars and restaurants hired 21,200 ($13 per hour). In the middle third of our wage scale, specialty trade contractors posted the biggest gain, with 9,400 hires. Educational services, another middle-class industry, shed nearly 14,000 workers. This middle third continues to stagnate, accounting for just 7% of net job additions in July.